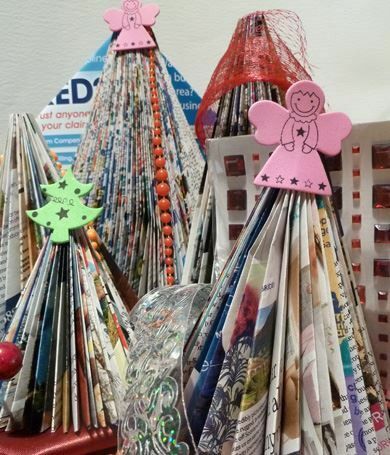 Discover how to use simple but effective folding techniques to transform pieces of paper into freestanding tree and fairy decorations! Discover how to use simple but effective folding techniques to transform pieces of paper into freestanding tree and fairy decorations! This workshop is ideal for those looking to make home-made decorations or gifts this Christmas and is suitable for complete beginners and enthusiastic crafters alike.